The end of the road for Liu Gaoyang at the semi-final stage of proceedings in the Women’s Singles event at the 2018 ITTF World Tour Asarel Bulgaria Open in Panagyurishte on the evening of Saturday 18th August but it was a defeat from which she can take heart. She was beaten in five games by her compatriot, Ding Ning, the no.6 seed (11-3, 11-4, 10-12, 12-10, 11-4), in a round that ensured the following day there would be an all Chinese final; in the opposite half of the draw, Wang Yidi accounted for Japan’s Hitomi Sato, the no.4 seed (7-11, 9-11, 11-7, 11-4, 12-10, 11-6). It was for Liu Gaoyang somewhat a return from the international wilderness; at the ITTF World Cadet Challenge staged in San Juan, Puerto Rico in January 2010, she had impressed winning the Girls’ Singles title; then in 2014 she had responded to the pressure and level of expectancy by securing gold in both the Women’s Singles and in the Mixed Team events at the Nanjing Youth Olympic Games. In both events she had remained unbeaten throughout; following her Youth Olympic Games success, did we not expect her to repeat the feat at the World Junior Championships staged later in the year in Shanghai? It was not to happen, colleague Wang Manyu struck gold and went from strength to strength. Can the performance in Panagyurishte give the now 22 year old Liu Gaoyang the confidence boost she needs to somewhat resurrect a promising international career? Furthermore deeds in Bulgaria are not yet over; she partners compatriot Zhang Rui in the Women’s Doubles final. The duo opposes the defending champions, Japan’s Kasumi Ishikawa and Mima Ito. 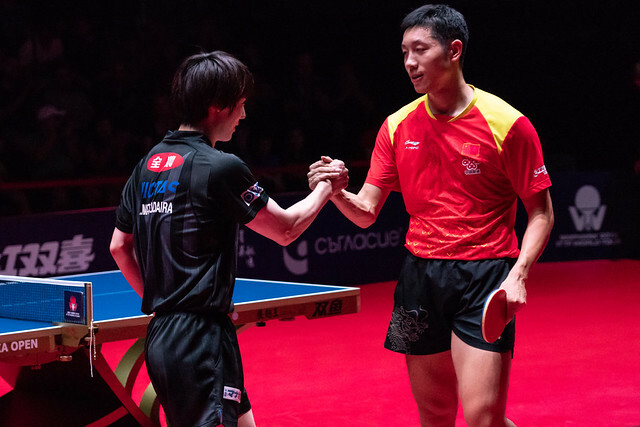 Defeat for Liu Gaoyang, for Wang Yidi, also trying to force her way into Chinese elite; she proved too consistent for Hitomi Sato, repeating the success of earlier in the year when they had met at the Seamaster 2018 ITTF World Tour Hang Seng Hong Kong Open. On that occasion, Wang Yidi had prevailed in their opening encounter in the Women’s Singles event and at the semi-final stage of the Under 21 Women’s Singles competition, the latter an event she progressed to win; a good omen for Panagyurishte? Ding Ning might just have other ideas. The final will be played on the afternoon of Sunday 19th August.